Trinity hosts a Master's Meal, open to anyone in need, from 11:30-12:30 each Wednesday in the Fellowship Hall. 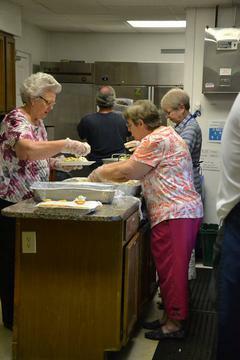 The meals are prepared by Trinity members. This is a wonderful outreach to our community. If you would like to help with Master's Meal preparation, please contact the church office at (843) 272-5236. This mission provides aid to veterans and their families. 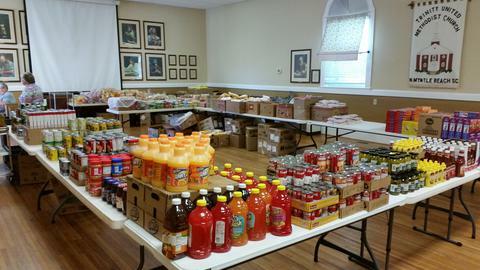 We have designated pick-up days, one Saturday each month, where we provide food for these families. We also hold several bake sales and other fundraisers for this ministry throughout the year. If you have any questions about the ASAP program or would like to volunteer your time, please contact the church office at (843) 272-5236! Mobile Meals is a great outreach missions' project that Trinity has established for our community. In our Mobile Meals, we deliver meals every eight weeks to shut-ins in our community. In addition to the meals, we supply our shut-ins with "special treat bags" that contain Guideposts or Upper Room devotional materials. On top of that, we also supply other sweet treats, such as candy, cookies, and/or seasonal treats. 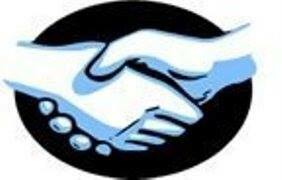 North Strand Helping Hand is an outside organization that Trinity UMC supports! We assist this great organization by supplying canned goods and by officiating and donating to different drives and fundraisers. Salkehatchie is a missions' program that sends youth and adults to minister and repair homes for those in need. This mission is a group effort in not only working to rebuild homes but also to work to spread God's love in both word and deed. This missions' program is one in which any youth or adult is welcome to participate. Whether you have construction experience or not, you're welcome to come join us in being the hands and feet of Christ in our community and our world. Trinity UMC provides prayer shawls, knitted by individuals of the church, for any congregational member to take and use or give away. These shawls are laid on the altar and prayed over and blessed prior to being given away. These are meant to be reminders that they are prayed for and loved by God! Operation Christmas Child is an outside mission that we support here every year. In the fall/winter, we are given the opportunity to, as a church, collect and fill shoe boxes with special gifts for children all over the world. 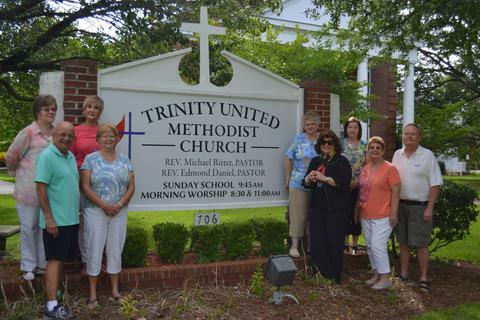 This is something that is special for all of us here at Trinity UMC. Our congregation collects and fills these boxes and sends them off with Samaritan's Purse to children all over the world for Christmas! At Christmas, we have an Angel Tree. Different individuals' names from our ASAP program, Regency Hospice, and children from the SC Children of Prisoners Ministry are placed on the tree. Different members of the church buy Christmas presents from the individual's wish list that was placed on the tree. Along with spreading the Christmas spirit, we love spreading the love of Christ here during the holiday season! Let's dig some wells. Trinity UMC partners with Widow's Mite, a Shallotte, NC based organization, to fund the digging of wells that provide clean fresh water to villages in countries around the world. 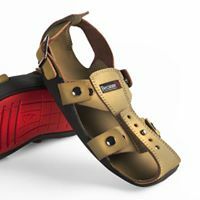 Shoes that Grow will expand to five sizes and will last for years. Trinity UMC has raised funds to buy over 250 pair of these shoes and will have continue to raise money for more.